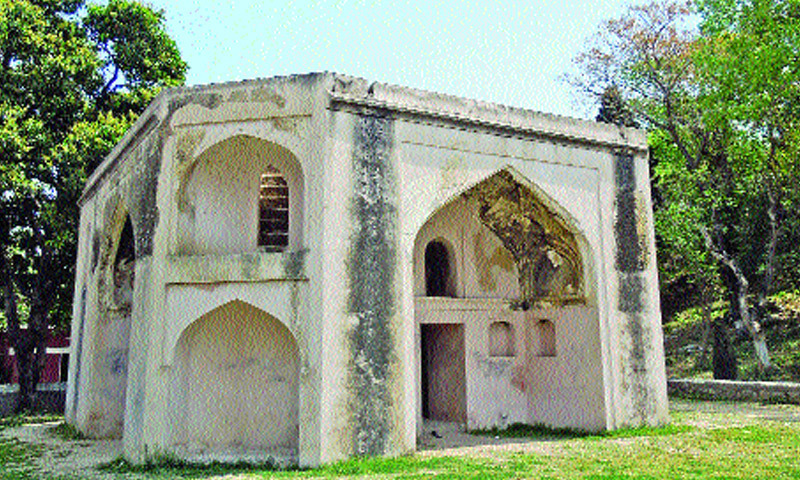 Tomb of the Hakims and Lalarukh’s tomb built during the Mughal reign in Hasan Abdal continue to intrigue visitors. Hasan Abdal, a city located to the northwest of Pakistan’s capital, is home to Gurdwara Panja Sahib, one of the holiest sites in Sikhism. The city interestingly also has a less known association, that with the Mughals. There are two tombs in the city, built during the Mughal rule, that continue to draw visitors’ intrigue and provide a peek into the region’s past. Just opposite the eastern gate of Gurdwara Panja Sahib, there is a building locally known as Maqbara-e-Hakeeman, or “Tomb of the Hakims”. The tomb was built in 1589 AD on the orders of Khawaja Shamsuddin Khawafi, a minister of the third Mughal emperor, Jalalud din Muhammad Akbar. Khawafi built the tomb for himself. After he died, Akbar ordered burial of two of his royal hakims (doctors) instead. The royal doctors were two brothers — named Abdul Fateh Gilani and Hamam Gilani — known for command and knowledge of eastern medicine. They held such prominent positions in Akbar’s court that they had access to the latter without any intermediary. The tomb is an octagonal building with arched entrances on its four cardinal points. Interestingly, there is no grave inside the tomb. It is said that during the Sikh rule (1799-1849), the upper part of the grave was levelled to be used as a clerical office. On the eastern side of the hakims’ tomb, a paved path leads to a small garden which hosts the Tomb of Lalarukh. 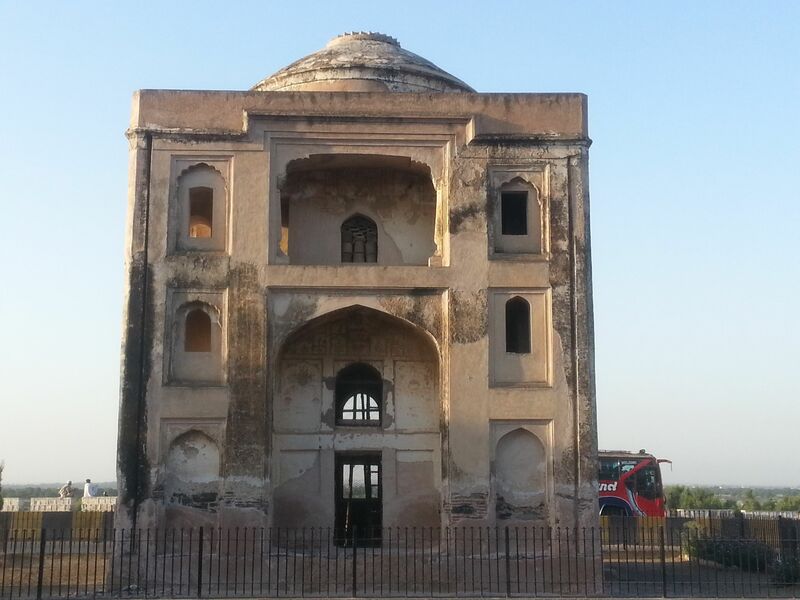 The tomb is a square-shaped enclosure with a door – depicting a typical Mughal architectural-style construction. At the centre of the enclosure, a raised platform is built with limestone, bricks, and lime mortar. A grave is built on the top of that structure, underneath which lies Lalarukh. Though the name is very clear and defined in the revenue records as such since 1905, the identity is marked by ambiguity. Multiple accounts exist on who Lala Rukh really was. Some say she was the daughter of Mughal Emperor Humayun, while some others relate latter’s son Akbar to be her father. Narratives also suggest that she was Aurangzeb’s daughter, although there is no reliable historical record of Aurangzeb having a daughter with this name. Another version suggests that Lalarukh might be a woman from the household of a Mughal emperor. Despite the conflicting narratives, one aspect secures a wide agreement that she was of a Mughal lineage and died of sickness while travelling to Kashmir, and was buried in Hasan Abdal. Some historians believe that the name is adopted from Sir Thomas Moore’s Lalla Rookh (1817) – a narrative of four poems fictionally depicting Lalla Rookh as the daughter of the Mughal Emperor Aurangzeb. British officers at the time, charmed by the imaginary heroine, may have given the unknown woman of the Mughal lineage the name Lalarukh. Both the tombs are characterised by something very intriguing: the person who built the Tomb of Hakims for himself could not get the opportunity to be buried there. The people who are actually buried there have the identity intact but the marks of the graves are no more, and the person who lies in the Tomb of Lalarukh has the grave intact but identity lost. For many domestic tourists, Hasan Abdal is just a town through which they pass while on their way to the various popular attractions in the northern parts of Pakistan, but for Sikhs, the place is held in reverence – for the city hosts the Gurdwara Punja Sahib. 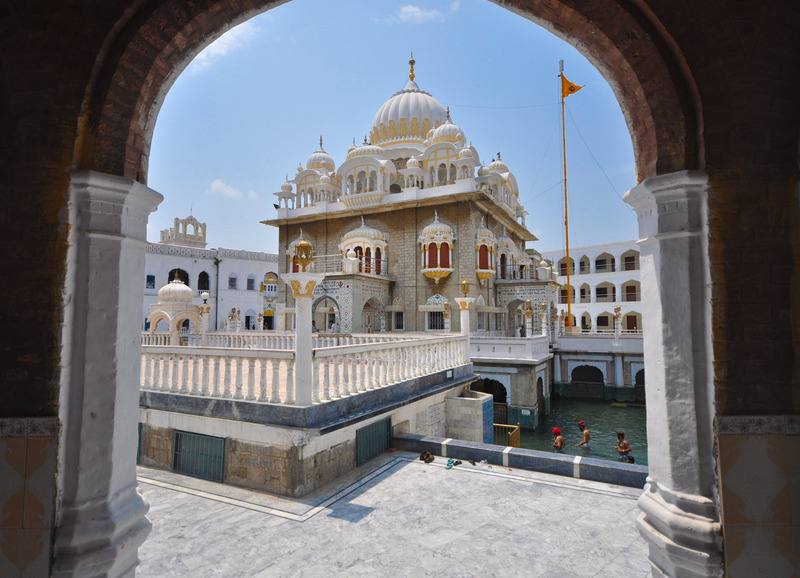 The Gurdwara Punja Sahib – is one of the most venerated among the many gurdwaras spread around the world. It was built in the 19th Century by Maharaja Ranjit Singh during the days of the Sikh Empire. The temple houses a hostel for pilgrims, a courtyard, a pool, and a temple. The word “Punja” signifies the fact that according to Sikh legends, the gurdwara hosts a boulder which has the five-fingers of Guru Nanak imprinted on it. The Sikh use the title “Sahib,” the way the title “Sharif” is used in Muslim traditions – to express reverence to a person. There are many accounts of the hand-imprinted rock, each varying from the other in minor detail. The most common story is that in the 1520s, Guru Nanak and his companion, Bhai Mardana, made a stop in Hasan Abdal while on a missionary tour of the area. In the scorching summer heat, they took refuge under a tree and began singing verses of praise to the Divine. Absorbed by the awe-inspiring hymns, people gathered around them. At the top of the mound, which today overshadows the vast complex of the gurdwara, there lived a saint known as Baba Wali Qandahari. Because of his location, he had leverage over the spring water flowing downwards. As people congregated around Nanak over time, the saint’s popularity declined, feeling jealous, he stopped the water. People appealed to him, but he is believed to have replied: “go to your guru.” The people went to Nanak who sent Bhai Mardana but to no avail despite repeated requests. Eventually, Guru Nanak miraculously made a stream of water gush out of the earth. The legend goes that Qandahar’s spring dried up because of that. In wrath, the saint hurled a boulder towards Nanak which he stopped with his right hand, thus leaving a permanent mark on it. After that, the saint is said to have become a devotee of Nanak. Interestingly, the Muslim tradition has it that the saint known as Baba Hasan Abdal amongst Muslims was the saint who stopped the water and was responsible for extracting the streams from these mounds which now flow through the city. The visitors and devotees climb the arduous path up to the top of the hill to visit the meditation chamber of Baba Hasan Abdal which also provides a panoramic view of the city. Thousands of Sikhs from around the world, including India, the UAE, and the UK, gather at Punja Sahib twice a year – for Guru Nanak’s birth anniversary and the Baisakhi festival. Pakistan hosts many essential pilgrimage sites for the Sikhs, of which, Gurdwara Nankana Sahib and Gurdwara Dera Sahib in Lahore, Punjab, and Gurdwara Punja Sahib in Hasan Abdal are the most prominent.